What’s your official job title on Meet The Robinsons? I was supervising animator for a character called Bowler Hat Guy. He’s the dastardly evil dude in the film and it was my job to make sure his look was consistent throughout the movie. Is the film based on a book? 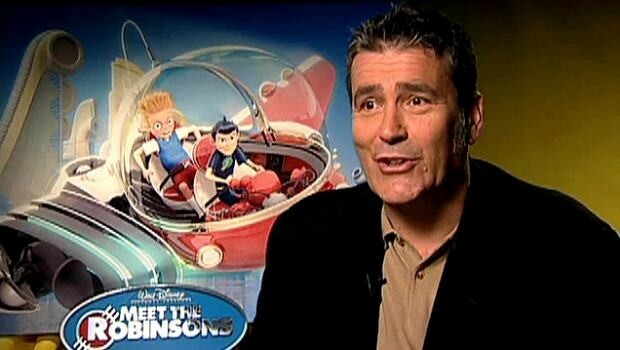 Yes, Meet The Robinsons is based on William Joyce’s book, A Day With Wilbur Robinson – but Bowler Hat Guy isn’t in it. He’s a character based on a script that the film’s director, Steve Anderson, wrote. What was his inspiration for this evil character? Steve wanted to create a classic Disney villain similar to Captain Hook. You feel like you’ve seen Bowler Hat Guy before – but as you watch the movie you realise he’s very different. When I was brought on to the film, I was asked to think of him as a full-grown adult with the mentality of a child – so we looked at Rowan Atkinson in Mr Bean and Jim Carey as The Riddler in Batman as well as the silly walks of John Cleese in Monty Python. Was he always called Bowler Hat Guy? Well, Bowler Hat Guy didn’t always look like this – and it wasn’t always a bowler hat on his head. He had different hairstyles, different outfits and we tried out top hats and no hats at all, but eventually we came up with this figure. He is a pathetic-looking guy, which is exactly right for the character. How long does it take to create a movie like Meet The Robinsons? It took almost five years to create Meet The Robinsons – but that also includes a considerable amount of time spent on story development. How much output can you expect to create in an average week? There are 24 frames in every second of film. Sometimes I can do a 100-frame shot in three or four days, which is only four seconds of film but that depends on how difficult the scene is. Some scenes can take longer, some can be quicker. How do you bring these characters to life? Well, I have a mirror on my desk to help me. I watch myself acting into it and try to copy what I see into the animation. I also have a little web cam so I shoot myself – especially my facial features – and replay it as inspiration for the animation. And then there’s a larger video room at the studio where I can get up and act out scenes, which is very helpful when creating the movements of a character. And what tips do you have for people who are trying to get into the animation industry? Learn your craft. It will make you a stronger animator if you can draw, so make sure you take as many art lessons as possible – even if you want to animate on a computer. Meet The Robinsons is available to buy on DVD from Buena Vista Home Entertainment.